WHEN does the deterioration of your brain rob you of your identity, and when does it not? Alzheimer’s, the neurodegenerative disease that erodes old memories and the ability to form new ones, has a reputation as a ruthless plunderer of selfhood. People with the disease may no longer seem like themselves. Neurodegenerative diseases that target the motor system, like amyotrophic lateral sclerosis, can lead to equally devastating consequences: difficulty moving, walking, speaking and eventually, swallowing and breathing. Yet they do not seem to threaten the fabric of selfhood in quite the same way. Memory, it seems, is central to identity. And indeed, many philosophers and psychologists have supposed as much. This idea is intuitive enough, for what captures our personal trajectory through life better than the vault of our recollections? But maybe this conventional wisdom is wrong. After all, the array of cognitive faculties affected by neurodegenerative diseases is vast: language, emotion, visual processing, personality, intelligence, moral behavior. Perhaps some of these play a role in securing a person’s identity. The challenge in trying in determine what parts of the mind contribute to personal identity is that each neurodegenerative disease can affect many cognitive systems, with the exact constellation of symptoms manifesting differently from one patient to the next. For instance, some Alzheimer’s patients experience only memory loss, whereas others also experience personality change or impaired visual recognition. The only way to tease apart which changes render someone unrecognizable is to compare all such symptoms, across multiple diseases. And that’s just what we did, in a study published this month in Psychological Science. 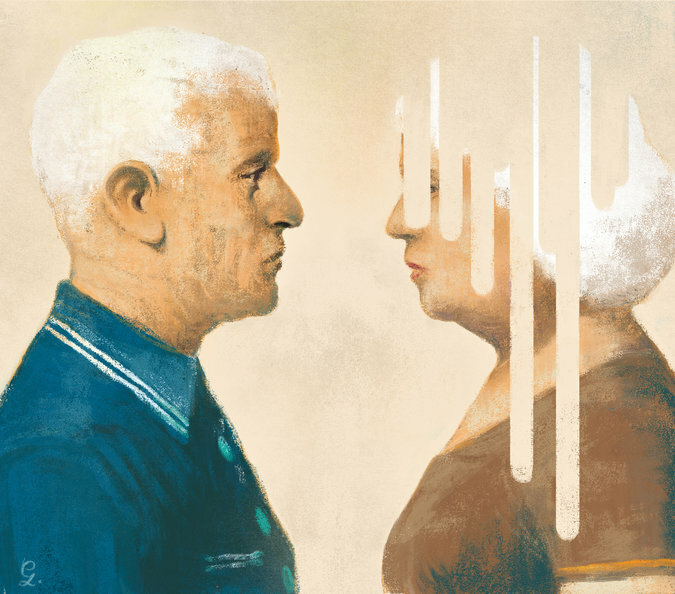 What we found runs counter to what many people might expect, and certainly what most psychologists would have guessed: The single most powerful predictor of identity change was not disruption to memory — but rather disruption to the moral faculty. We surveyed 248 family members of people who had one of three types of neurodegenerative disease: Alzheimer’s, A.L.S. or frontotemporal dementia. Frontotemporal dementia is the second most common form of dementia after Alzheimer’s. It obliterates executive function in the brain, impairing self-control and scrambling the moral compass. People with the disease are prone to antisocial outbursts, apathy, pathological lying, stealing and sexual infidelity. In one part of the survey, we asked the family members questions designed to evaluate identity persistence. For instance, did they feel like they still knew who the patient was? Did the patient ever seem like a stranger? We found that people with frontotemporal dementia exhibited the highest degree of identity change, and that people with A.L.S. exhibited the least. People with Alzheimer’s were somewhere between these two extremes. While this result was suggestive, it still didn’t tell us which specific symptoms were causing the patients to no longer seem like themselves. For this, we would need to collect a detailed history of the scope and extent of the symptoms that each patient had experienced. So in another part of the survey, we asked about basic cognitive faculties, like executing voluntary movements and object recognition; about the patient’s memory for words and facts and autobiographical details; about emotional changes like agitation and depression; about nonmoral personality change, like extroversion, sense of humor, creativity and intelligence; and about moral character and moral behavior changes, such as empathy, honesty and compassion. We found that disruptions to the moral faculty created a powerful sense that the patient’s identity had been compromised. Virtually no other mental impairment led people to stop seeming like themselves. This included amnesia, personality change, loss of intelligence, emotional disturbances and the ability to perform basic daily tasks. For those with Alzheimer’s, neither degree nor type of memory impairment impacted perceived identity. All that mattered was whether their moral capacities remained intact. Nina Strohminger is a postdoctoral fellow at the Yale School of Management. Shaun Nichols is a professor of philosophy at the University of Arizona.